"Choose your planet", a sketch by antiplastik on openProcessing, is one of my favorites and I always wanted to have a deeper look at it. So I ended up forking (branching) it so I could use it in a video projection for a music band called Saule et les Pleureurs. 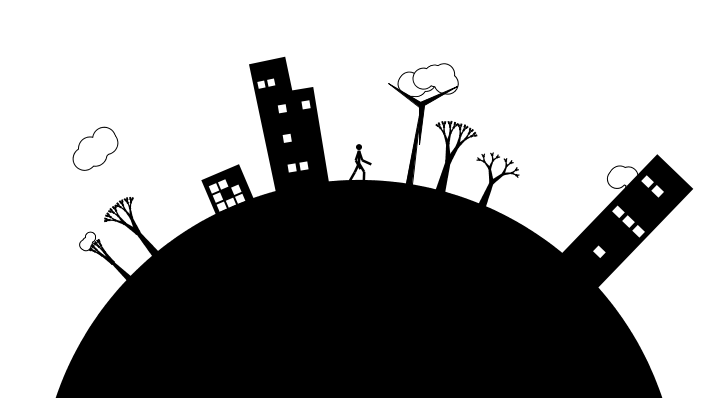 I’ve added a walking man, clouds and a little more variety in the creation of buildings and trees. I got rid of the buttons (replaced by keyboard commands) which also makes it a nothing-but-code application (something I get crazy about when it comes to graphic design).